The most effective homeopathic prescription is made by assessing your own, individual symptoms so in order to get to the right remedy I take a full history: in terms of acute/ chronic symptoms, both physical and emotional, as well as your life story, your family history, what you love and what you dislike in the most general terms. This of course takes time and I aim to build a trusting, confidential relationship with all my patients. Allow for up to an hour and a half for the first session, and about an hour for follow up treatments. Homeopathy works by taking into account an individual's 'whole picture' - that is, an understanding of every aspect that makes you, you. ​I will be clear about which remedies I am prescribing and how to take them. I offer constitutional treatment (that is working with the 'whole' of your individual picture, often to treat chronic, long-term symptoms), or help on the acute level (in times of self-limiting illnesses such as coughs, colds, injury, etc). 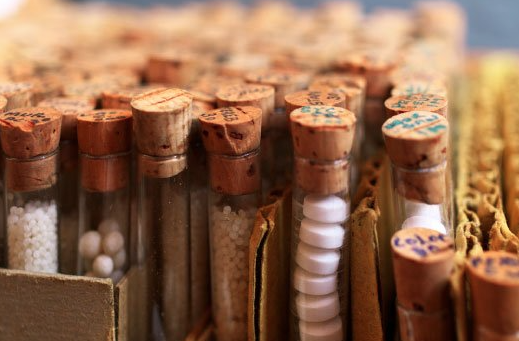 Please note that homeopathic treatment doesn't mean stopping your conventionally prescribed medications - I would not suggest this without conversations with your GP or specialist. Any homeopathic medicine that I prescribe must only be taken as directed. Homeopathic medicines are entirely safe to take whilst pregnant, breast-feeding, from birth and in the elderly and they have no side-effects. ​Homeopathic remedies generally come in the form of small, easily-dissolved pills which are placed under the tongue. For the very young or the elderly, I can prescribe your remedy in a liquid form. Each remedy is made in a sequence of stages that starts with the material substance, for example Pulsatilla (a flower called the Wind Anemone). This substance is diluted in water and sucussed (shaken) according to homeopathic principles that renders the resulting remedy more potent. Generally the higher the dilution, the more active the remedy is, and should only be taken after seeking professional advice. I am always available between sessions for advice or information, please do not hesitate to contact me.